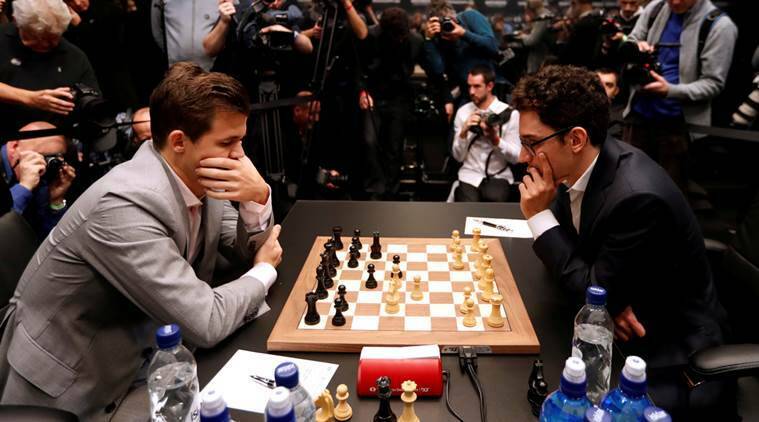 Magnus Carlsen, who collected a winner's prize of 550,000 euros ($626,065), and his bespectacled opponent had drawn 12 out of 12 classical games through November. Norwegian Magnus Carlsen won the world chess championship for a fourth time on Wednesday after winning three tie-breakers against US rival and world number two Fabiano Caruana. The 27-year-old defending champion, who collected a winner’s prize of 550,000 euros ($626,065), and his bespectacled opponent had drawn 12 out of 12 classical games through November. That stalemate forced the pair into the faster-paced, best-of-four rapid tie-breakers. “Frankly speaking, in the last couple of years my game hasn’t been great,” Carlsen told a news conference. “In that sense, this match and the classical portion was a step in the right direction. “I think I played relatively well and Fabiano is just a very strong player…I feel like I have things to work on, clearly.” The failure of Caruana, 26, to defeat Carlsen means the United States has not won the chess title since the enigmatic and volatile Bobby Fischer beat Russia’s Boris Spassky at the height of the Cold War in 1972. “I have some regrets about the classical portion but I don’t think I can really be upset about it,” said the American. “I was hoping to play my best chess today but I didn’t even come close to that. “I felt a lot of pressure but I don’t think I had added pressure because I was the first American challenger in a long time,” he added. “Right now I’m mainly disappointed, but I hope that I can look back at the match and learn a lot from it because it is also a great privilege to play Magnus and a great learning experience.” Caruana will still collect 450,000 euros for his efforts at The College, a Victorian era building in London’s Holborn. Carlsen has been the world’s top ranked player for the past eight years and has now defended his title three times since he first won it in 2013 by beating Indian grandmaster Viswanathan Anand. This year was the first time the Norwegian had won the championship without losing a single game.